Have a question for Princess Armicha Pension House? "It's ok value for money, the place is good enough to spend the night"
"Close to everything, easy access." "PROS: Affordable, near Junction 1 where Capitol, Tiki bar and other establishments are located and about 5-10min ride to airport." 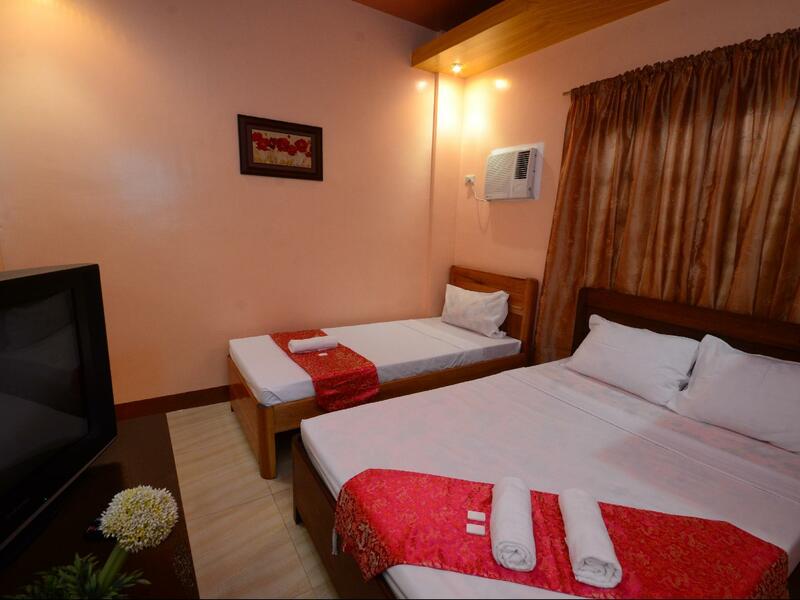 "Comfortable place to stay in groups or individual :)"
For travelers who want to take in the sights and sounds of Palawan, Princess Armicha Pension House is the perfect choice. The hotel lies 1 km from the city center and provides accessibility to important town facilities. 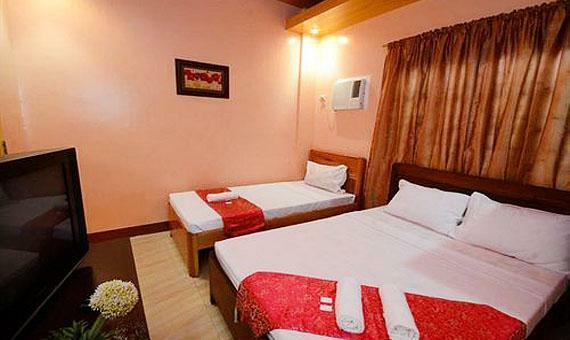 This modern hotel is in the vicinity of popular city attractions such as NCCC Mall, Mendoza Park, Palawan Museum. 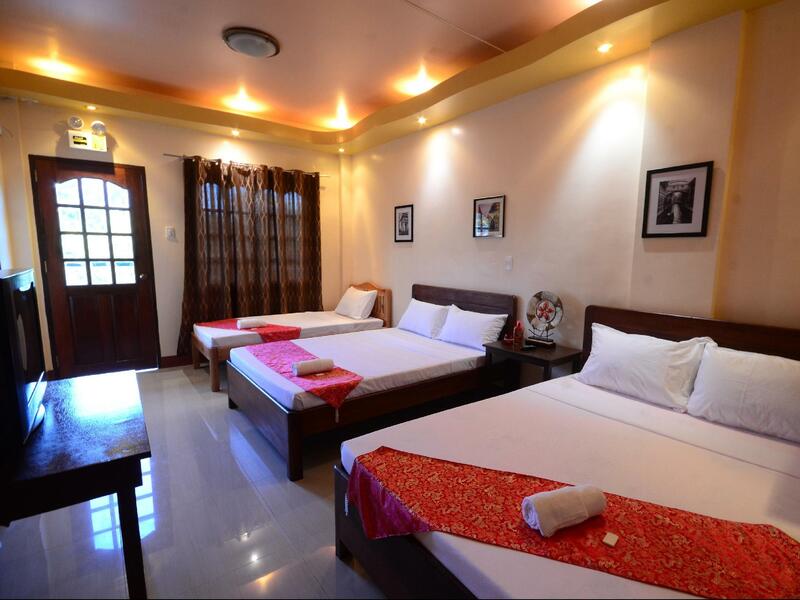 Princess Armicha Pension House offers impeccable service and all the essential amenities to invigorate travelers. The hotel offers access to a vast array of services, including free Wi-Fi in all rooms, Wi-Fi in public areas, car park, airport transfer, tours. In addition, all guestrooms feature a variety of comforts. Many rooms even provide internet access – wireless (complimentary), non smoking rooms, air conditioning, desk, balcony/terrace to please the most discerning guest. Besides, the hotel's host of recreational offerings ensures you have plenty to do during your stay. 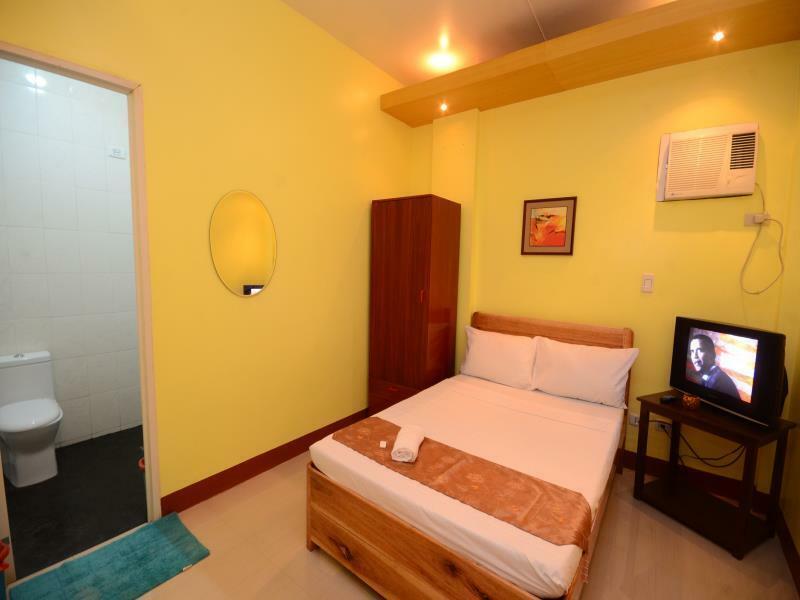 Superb facilities and an excellent location make the Princess Armicha Pension House the perfect base from which to enjoy your stay in Palawan. "Will definitely stay here again next time we're in Puerto Pr..."
+ clean big room, wifi good, aircon ok though noisy. Bed foam quite thin, not an inner spring bed. Changed rooms due to slight mouldy smell, 2nd room was fine. - barking neighbour dogs off and on all night, looked for other accomm as a result. Not armicha's fault but worst night sleep as a result. Plenty of food options around, night street food stalls appear at 6pm. I Wouldnt stay again due to noise. Stayed with my girlfriend here since we were celebrating Christmas together. Most places were fully booked, but managed to find this little gem. It's neatly tucked away close to Rizal Avenue (walking distance), and a short trike ride away from SM and even the Baywalk. The facilities were nice, clean and functional. Don't make no mistake, it's no hotel, and decidedly a pension house, but it was a darn good pension house and we enjoyed our stay. Best of all, the staff were extremely accommodating, especially the daughter of the owner (I think), who was very helpful and darling when we had any requests (including soy sauce for our meal). If you're on a pension house budget, or just passing by to enjoy what Puerto Princesa has to offer, you can't go wrong here! We enjoyed staying here on our first visit to Palawan. Booked the Underground River & Honda Bay Tours with them and it was cheaper than most. Clean and value for money. Nice local eateries nearby and will definitely return again. the pension house is good,they picked us from the airport with their free shuttle and also they drove us going to the airport with their new van!free breakfast was okay and the staffs are very friendly and accommodating..this hotel is near the airport and near the city center where restaurants and bar are located,we just walk going to Kinabuch and Kalui restaurants...there's also a vegetarian restaurant beside the hotel. Clean hotel, very friendly staff, great location, hotel is still new, very friendly staff! Good value for your money. we stayed in princess armicha for 5 days because we had a shop opening in a nearby mall. we were picked up by the owner, who is very nice and friendly, he told us what we can see around palawan. when we arrived at the hotel we were welcomed with a smile by the receptionist, who treated us very well through out our stay there. when we entered the room it was very clean and the restroom was big. we are 3 in the and we fit it perfectly. we have complementary breakfast that even though we woke up late they set aside food for us. it has free wifi which is great but during our stay the provider was down so we didn't have any internet. it has a huge generator so do not worry about brownouts. overall it was a great stay and i would surely comeback. we are part of a 12 person/family that occupied an overnight stay in this hotel. the plus factor of this hotel is the price whch is very affordable unlike most pp hotel that are only 2 star but will charge you as if you are staying in a 4 star hotel. so princess armicha got our vote. it has a spacious room and comfort room. its is newly built so it looks clean and decent. this hotel is good for just sleeping since they dont hve any swimming pool or garden. but at the front is a great massage parlor so we are happy with that. It's a small budget hotel but the rooms are spacious and very very clean (it's new). it is very accesable to the market, to the restaurants and othercity sights. the owner are very hospitable as they are the one's who personally took care of our needs. breakfast is small portion but it's enough. i will recommend this hotel to anyone who will spend most of their time touring and just need a room to sleep in. great choice for a budget hotel. we checked in for an overnight stay since we are on tour and its a great budget hotel that is cheap (most hotels will charge you more for a 2 star hotel)but pls expect basic amenities (comfort room, ok bed, thin towels and basic breakfast of bread, jam, coffee or rice, one viand and egg). we do not mind the lack of a swimming pool since we were here only for a night. its a clean hotel, clean room, with new fixtures. and we are just happy for that. They have basic accommodation. Clean and decent room. Have A/C, hot and cold water. They have wifi but internet is very slow in the rooms. Location is close to the road but it’s quiet at night and is very easy for pick up and drop off if you have tours or just even by trike rides. Staff comes and clean your room regularly. Staff are nice. It's not amaizng, but it's not bad at all, the room is spacious enough, has a private bathroom with hot water, the wifi worked reasonably well. Its all you really need for a short stay. The hotel charged me for the breakfast which it was suppose to be included when I had paid for the hotel voucher in the hotel booking. Again please do not stated included breakfast in the hotel booking and stated in the hotel voucher which included breakfast whereby upon checked out,I was charged for the 3 days breakfast by the hotel. I didn't really feel so good about the stay, it was only ok. The check in was a bit awkward and they were reluctant to pick me from the bus station, and then I had to kill 5 mosquitoes in my room. When I had a shower the towel was really cheap polyester and I had to pay for breakfast even though the room was quite expensive and the internet worked about 10% of the time and kept cutting out. So I felt they were "penny pinching" or very tight with the money. Otherwise they tried to be friendly and the stay was ok. The owner and staff at the pension house were amazing hosts. The group of us were offered a ride to the airport while checking out and when asked for a bowl and some utensils, offered to set up a table for us at their rooftop area. Breakfast is served at the rooftop lounge and they have great wifi access. The housekeeper is very nice, he picked us up at the airport and on the way he introduced to us good seafood restaurants and the way around the city center. We got problem with of the room in the morning (the toilet was stuck) but it was fixed when we were out for the tour. Breakfast was good and changed everyday (we had option to choose between rice or toast, there's even fresh fruits), more than what we expected for a free meal included in room rate. Breakfast is on the top of the house with nice view. Location is good, only 5-10 minutes from the airport. Nice bathroom, good location, clean rooms, breakfast bar on roof. This was one of the nicest pensionnes in Puerto Princesa Proper. Not to expensive, and very clean and run well. They also quickly fixed the WiFi when told it wasn't working. More smiles from some of the staff would have been nicer though, but most were good. The pancakes for breakfast were nice. The staffs working around here are very hospitable. They were all smiles every time you see them. They even help other guests find an available underground river tour. They are very helpful in giving directions. The breakfast is a choice of continental or Filipino food. They were basic but tasty. The hotel is just a short ride away from famous restaurants like Ka Lui and Kinabuch. My stay was very short. But even som staff was very nice. They even gave me a ride to the center. The room was very small, but for a solo traveler who just needs it to sleep and keep the stuff it was morte than enough. It is not far from the center and the location seems safe.